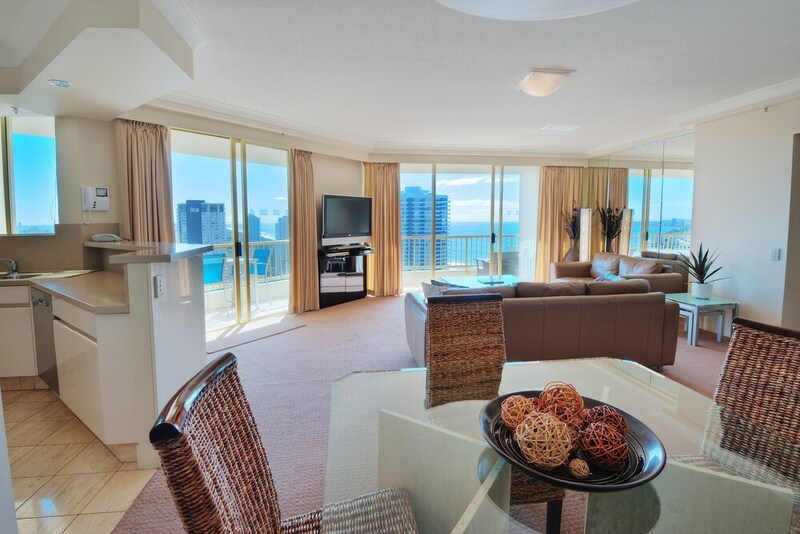 Located in Main Beach, Contessa Condominiums is by the ocean, within a 5-minute drive of Surfers Paradise Beach and Marina Mirage Shopping Centre. This 4-star apartment is 1.3 mi (2.1 km) from Slingshot and 1.4 mi (2.2 km) from Australia Fair Shopping Centre. Make yourself at home in one of the 31 individually decorated guestrooms, featuring kitchens with full-sized refrigerators/freezers and stovetops. Rooms have private balconies or patios. Cable programming and DVD players are provided for your entertainment, while complimentary wireless Internet access keeps you connected. Conveniences include microwaves and washers/dryers, and you can also request cribs/infant beds (surcharge). Enjoy a range of recreational amenities, including an outdoor pool, an indoor pool, and a spa tub. Additional amenities at this apartment include complimentary wireless Internet access, tour/ticket assistance, and barbecue grills. In addition to an indoor pool and an outdoor pool, Contessa Condominiums provides an outdoor tennis court and a spa tub. Wireless Internet access is complimentary. This Main Beach apartment also offers a fitness center, a sauna, and tour/ticket assistance. Complimentary self parking is available on site. Contessa Condominiums is a smoke-free property. An indoor pool, an outdoor pool, and a spa tub are on site. Other recreational amenities include an outdoor tennis court, a sauna, and a fitness center. Rollaway/extra beds are available for AUD 35.00 per night.